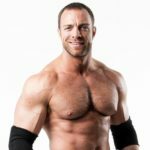 Help contribute to our Match of the Month project at voicesofwrestling.com/forums. The crowning of a new 18-year-old top star in joshi began with this title win over arguably the best wrestler in the world, Io Shirai. Momo Watanabe has arrived. 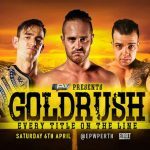 Though some may prefer their bout earlier in the year (which was also great), this match had the title change and the passing of the proverbial torch. Io Shirai is such an excellent top star; everything from her work to how she carries herself is elite. Momo had to give Io everything she had to beat her, and she emptied her offensive tank with Meteoras, Cradle drivers, and head kicks. Momo finally ended it with a wrist clutch half nelson suplex (a very cool looking move) to keep the champ down for good. This was a great joshi match and an exciting new time for Stardom. I enjoyed this match but am a little surprised it cracked the top 10. 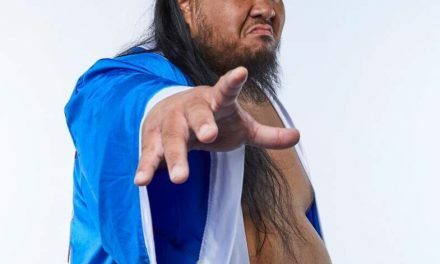 ACH has really blossomed as a performer over the last couple of years and Flip is someone who’s starting to make a name for himself. This was a high flying spotfest with some added ground game from ACH. Flip is still green but his flying came across well here, hitting a double springboard dive and jumping off the entrance at Korakuen. ACH was the star though, with his crisp offensive sequences and noticeably improved striking. Not to mention that great backflip kick spot he does in the corner that always pops me. Flip got over in defeat and ACH showed why he’s one of the best free agents on the market today. This is a match that could theoretically take place in NXT but is much more interesting in the context of a PROGRESS ring and their big SSS16 tournament. Bully Chris hero was on full blast here, striking down the smaller man Tyler Bate while bat valiantly refused to stay down. This was similar in structure and quality to Ohno’s contest with Mark Andrews a couple of SSS16’s ago, a match that deservedly received universal praise. Bate is different than Andrews in one respect though: He’s a big strong boy. Did Tyler Bate deadlift German suplex Kassius Ohno in this match? You bet he did. Did he give him the airplane spin? Yes sir. And he finished the Indy legend off with a Tyler Driver 97 to boot. Tyler Bate in this match was the best babyface you ever saw. His selling was excellent. He stood up to a man much bigger and more experienced than him, and brought him down with determination, grit, heart and technical as well as physical prowess. Admittedly I am not a regular Lucha viewer, but this was a really fun brawl. As someone swooping in to watch this match I was also quite confused at times, but that actually lent itself to the chaotic spectacle this was. The heat between LA Park and Rush was the backbone of this contest, while Volador and Flyer took to the air intermittently. Though this wasn’t my favorite style of Lucha match I still enjoyed it for the character interactions and atmosphere. 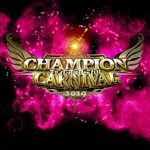 This was the rematch of their Champion Carnival final that also received high praise. Only this was for the title. The two matches have some similarities but one difference in this match was how much Marufuji seemed to have Miyahara’s number. Both men utilize devastating knee strikes and they showcased that story throughout. Marufuji was the first to land several impactful knees and really took it to the champion. Miyahara likes to structure his title matches this way, and sometimes his formula can hold him back. Marufuji’s pacing and big spots (like the piledriver on the apron) kept the formula from feeling stale. This built to a furious finale, with one of the best closing stretches I’ve seen this year, which played off of their first match. In the first match Marufuji kept kicking and kneeing Miyahara while Miyahara was out on his feet. Here, after they clashed knees, Miyahara seized the initiative and fought through the pain to deliver a follow up knee strike, before blitzing Marufuji and kneeing him into the afterlife. Miyahara continues to be my favorite Japanese wrestler outside of NJPW while Marufuji adds another great match to his extensive portfolio. Desperado has arrived, ladies and gentlemen. It’s finally happened, and all it took was the right opponent. And what better rival to have than Hiromu Takahashi (just ask Dragon Lee). Because of their similar reckless styles fans of these men thought that a clash between them could be something special, and they were right. These men fought all over Korakuen, with Hiromu nailing perhaps the best shotgun dropkick of the year up in aisle. This was the best match of Desperado’s career and has set up another great rivalry for Hiromu. Another man Hiromu can fight forever. If there’s one in ring rivalry I love as much as Omega/Okada or Okada/Tanahashi, it’s Ilja Dragunov vs WALTER. This was their third singles match they’ve had since last year’s 16 carat classic finals, and swerve…I loved it. This match was entirely different from their previous two encounters. WALTER doesn’t hit a chop until 20 minutes into the match. And when he does, it’s a near fall. Why is that? Because Ilja Dragunov wrestled a totally different match here. He wasn’t just the passionate, full steam ahead fighting spirit Ilja, this was a technical Ilja. An Ilja trying to avoid damage, and take down WALTER without having his chest ripped open for once. So Ilja worked over WALTER’s hand. We’ve seen men attempt this before, but none as successfully as Ilja did here. Ilja dominated Walter in the early going like no one I’d ever seen. WALTER, to his credit, worked around his injured hand completely. He went almost the whole match without the use of his signature weapon: the chop. Ilja finally defeated WALTER once and for all via submission, establishing himself as the true top dog of wXw. This was an absolute masterpiece and one of my favorite matches of the year. This was a super indie match sprint by two men who are two of the best at it. They had one of the best 10 minute matches ever when they met in Progress in 2016, and had another classic over this past Mania weekend. The pace here was frantically unmatched and the crowd ate up every second of it. They built on their previous matches with new and interesting reversals and exchanges. It was hard hitting and always felt like each man was trying to win. There’s no reason not to go watch this as it’s available on YouTube, and may very well be the best match any wrestling company has online for free. This was not only my personal match of the month; it’s my current match of the year. I loved everything about this. KUSHIDA was working with an edge, Ospreay was full of fire. The counters and reversals were breathtaking. The sequences were so furiously paced and the action never let up. The strike exchange that starts with them on the mat and ends with KUSHIDA giving his Hideo Nomo straight punch to Ospreay as he’s dashing right towards the camera is a visual I’ll never forget, and was my favorite wrestling sequence all year. These men not only did the amazing things they’ve done together in previous matches, they added layers to them as well. KUSHIDA was extra vicious here, stomping Ospreay into oblivion in similar fashion to his BOTSJ 2017 win over him. The series of matches these men have had doesn’t get hyped enough, in my opinion. It’s as good as any series I’ve seen. 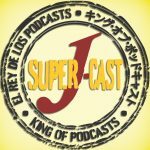 Ospreay’s run with the Jr. Title was legendary and this was my favorite match of the reign. Though this is probably not the final match these two will ever have against each other, this was the closing chapter on one of the greatest in-ring rivalries of this generation. There were built in stories of Tanahashi trying to prevent Okada from breaking Tana’s defense record as well as the new narrative of Tanahashi as the underdog against the unbeatable Superman that had replaced him as the Ace. 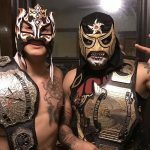 Personally, this feud is not only what got me into NJPW, but into puro as a whole. I would not be writing this column or for this site if it weren’t for the matches these two men have had. As for this encounter, it did not disappoint. This wasn’t, in my opinion, the best match these two have had. But it was still an incredible display of counter wrestling and storytelling. 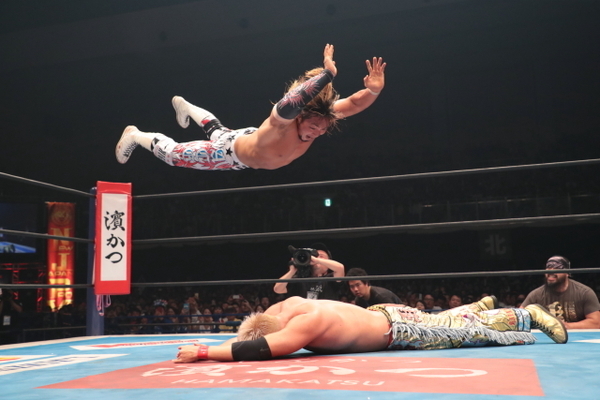 Their previous encounter was a fantastic 30 minute draw in the 2016 G1 and in this match Tanahashi went for a High Fly Flow right at the 30 minute mark, the same exact time he hit Okada with the move in 2016, but this time Okada got the knees up. They played many of the hits we’ve seen before. Okada went for a Rainmaker and Tana slapped the taste out of his mouth, but Okada held the wrist, the finishing technique which he started using after vanquishing Tanahashi with it at Wrestle Kingdom 10. But this time Tana kept slapping him, again and again, until he broke Okada’s wrist control. That hadn’t been done. Tana went to create distance but Okada refused to lose here, grabbing Tanahashi’s trunks and pulling him in for one definitive Rainmaker to secure the win and make history. Tanahashi is the man who made Okada. Tanahashi carried NJPW through their darker times. He brought them into this new era where they’re a red hot promotion. And he handed the mantle to Okada, who turned out to be the right guy. It was the perfectly passed torch. 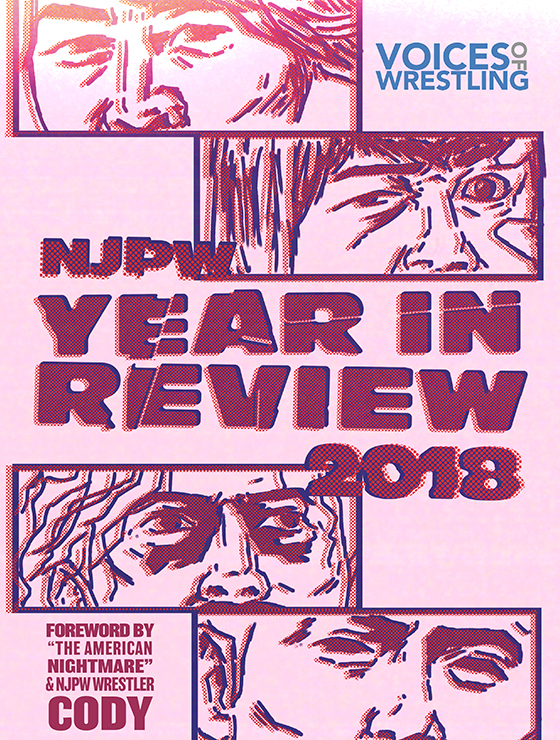 David Starr vs. Zack Sabre Jr.
NextVOW Flagship: Vader Memories, NXT, MITB, G1 Climax 28 Blocks & more!